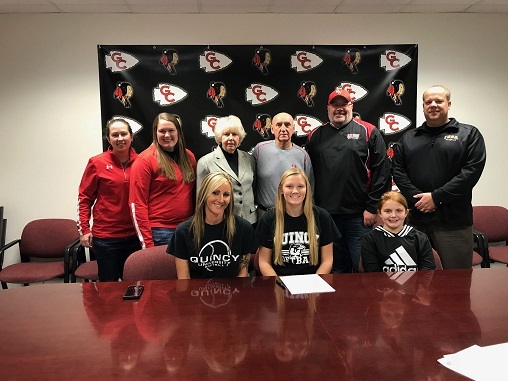 Bailey Morrow - 2018 Graduate of Sacred Heart, Springfield - signs to play softball with Quincy University. 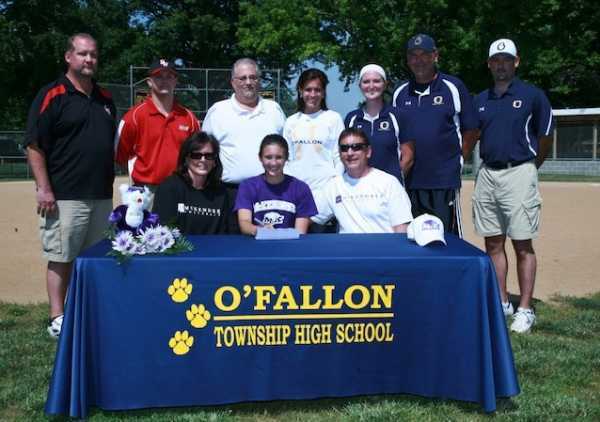 Bailey was a huge part of her team's National Championship pitching, playing outfield, and a middle of the order bat. 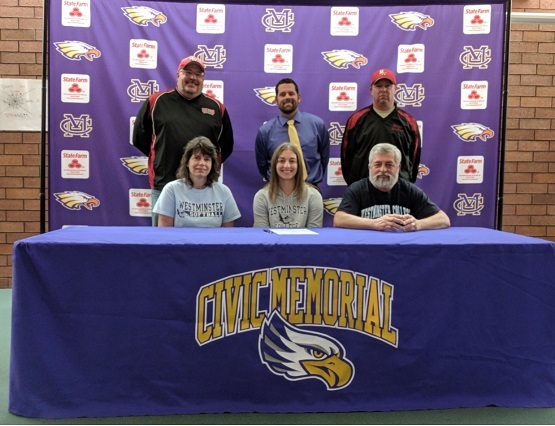 Susan Buchanan - 2018 Graduate of Civic Memorial High School - signs to play softball with Westminster University. Susan has been with the Black Widows for many seasons. Susan offers a power bat and plays solid defense in the outfield. Susan plans on studying pre-med in college. 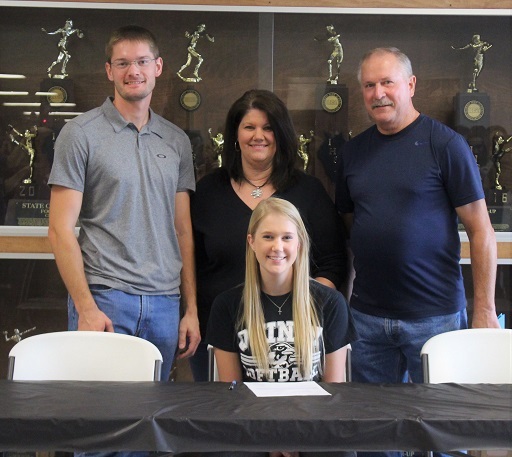 Morgan "Mo" Tanksley - 2018 Graduate of Granite City High School - signs to play softball with Quincy University. 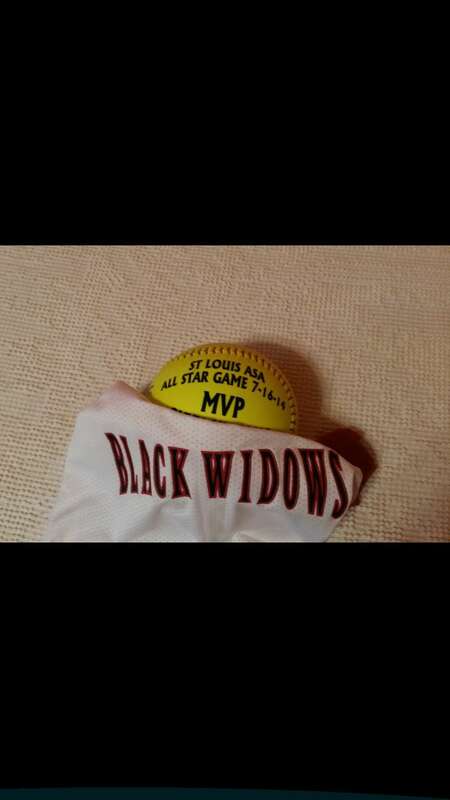 Mo has been with the Black Widows for many seasons. 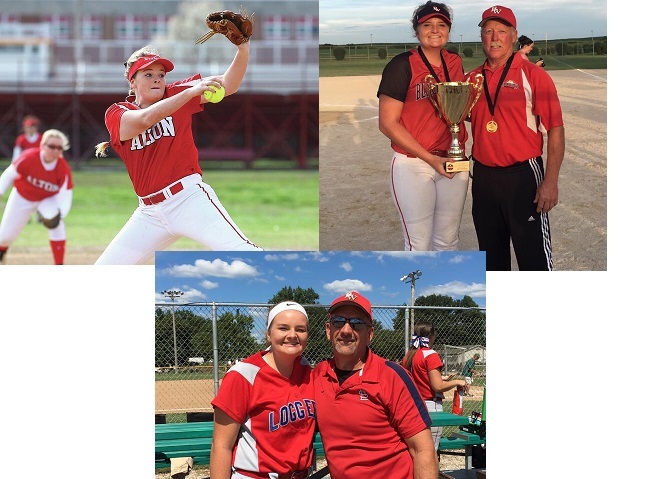 Mo is an Ace Pitcher that was on the rubber during her team's National Championship win. Mo plans on studying Nursing in College. 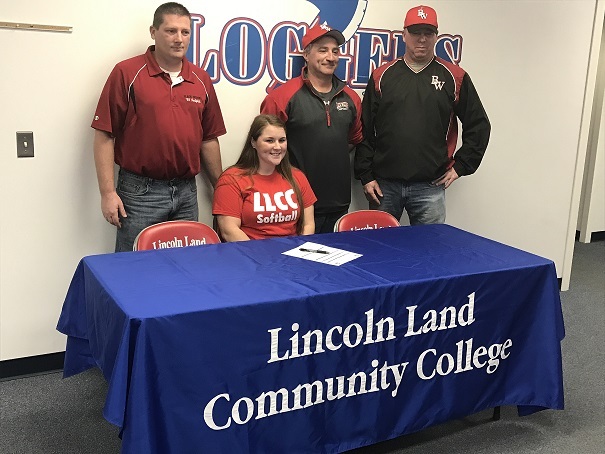 Brooke Webber - 2018 graduate of Edwardsville High School - signs to play softball with Lincoln Land College. Brooke is a stellar outfielder that carries a big stick. 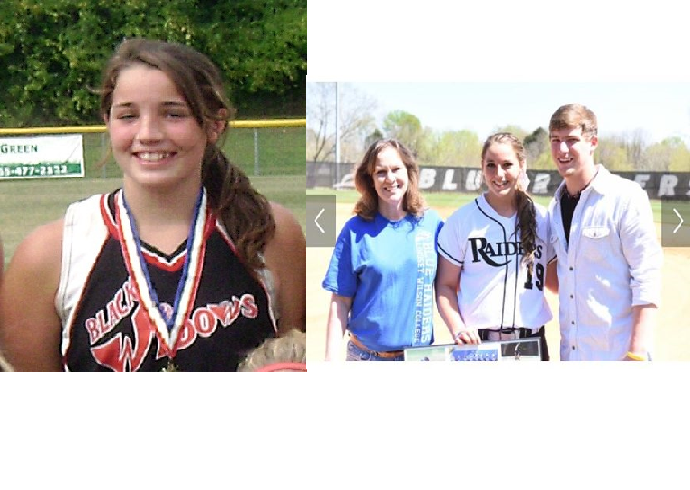 Brooke has been with the Black Widows for many seasons. 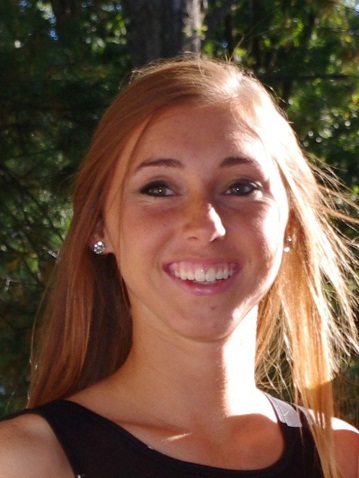 Brooke would like to study business with a minor in sociology in college. 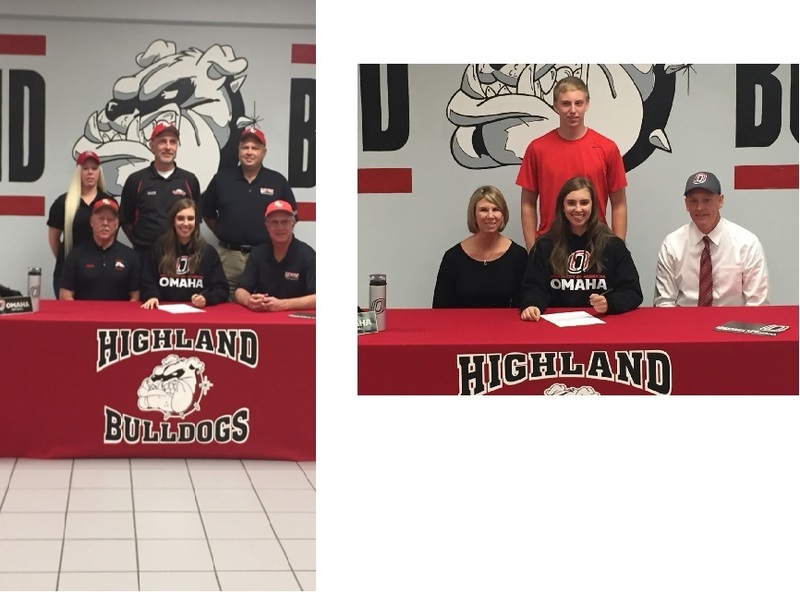 Kourtney Zobrist - 2018 graduate of Highland High School - signs to play softball with Lincoln Land College. 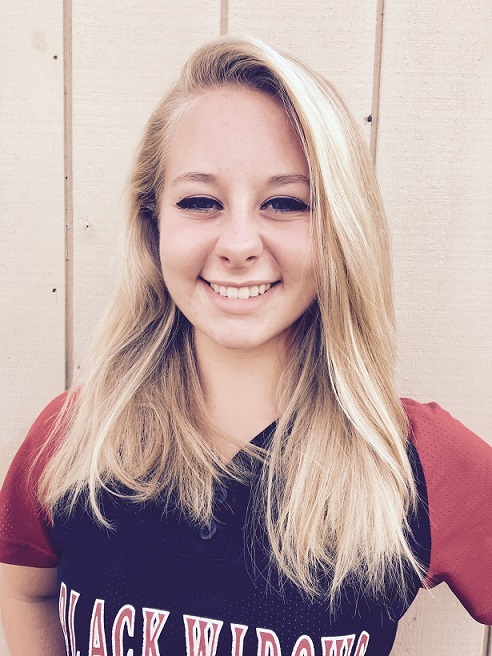 Kourtney is a very versatile player, she can play shortstop, outfield, but mainly play 2B. Kourtney has played for the Black Widows for 6 seasons. 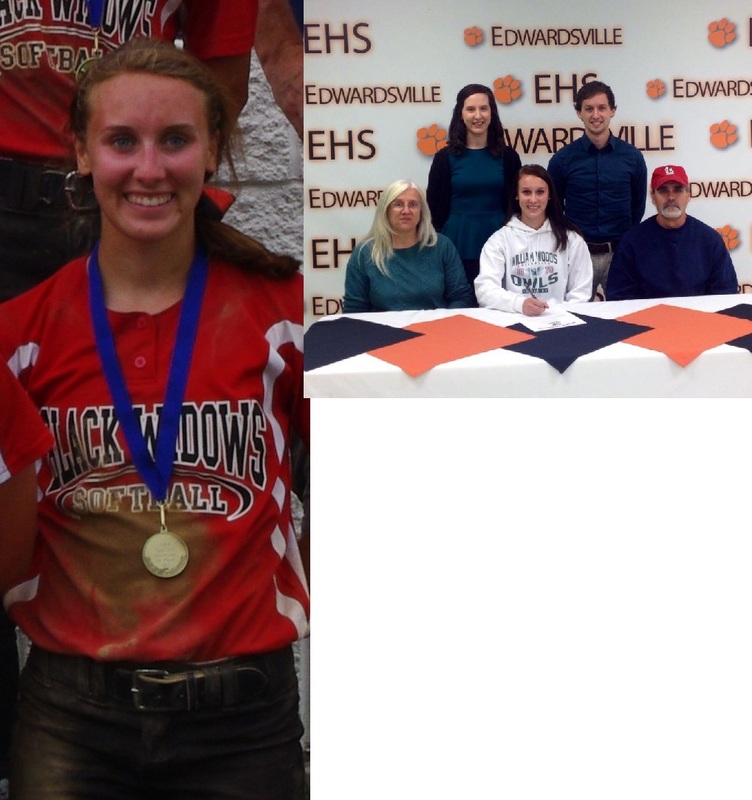 Anna Burke - 2018 graduate of Edwardsville High School - signs to play softball with Missouri S&T. 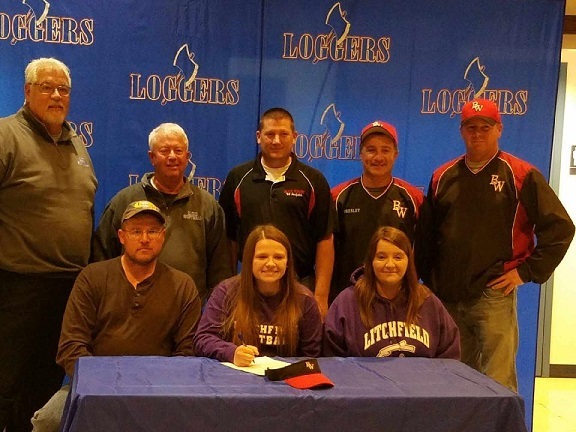 Anna, a slick-fielding shortstop with a powerful bat, was looking to continue her softball career while furthering her education. She didn't need to look any further that Missouri S&T. 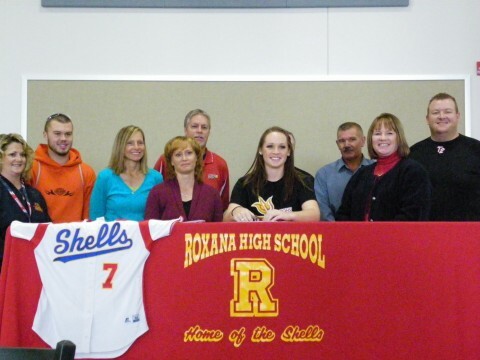 A high honor roll student at EHS, Burke was wanting to find the ideal school to study engineering while playing softball. 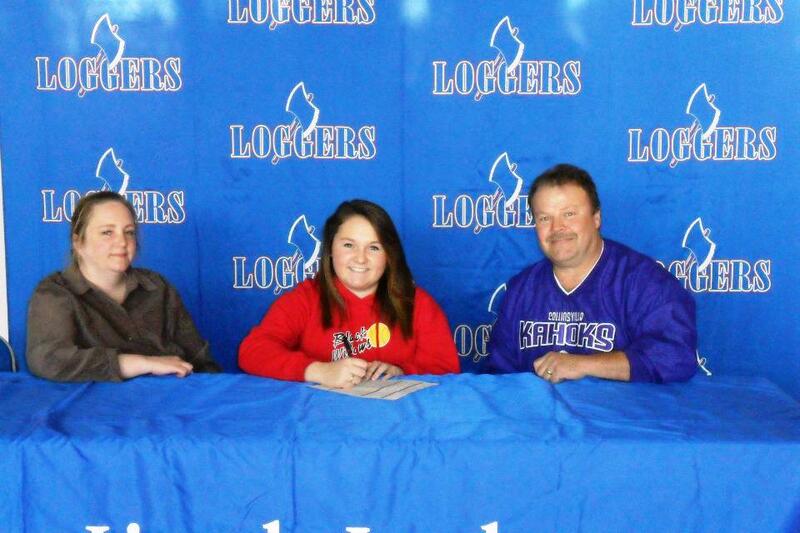 signs to play softball with Blackburn College. 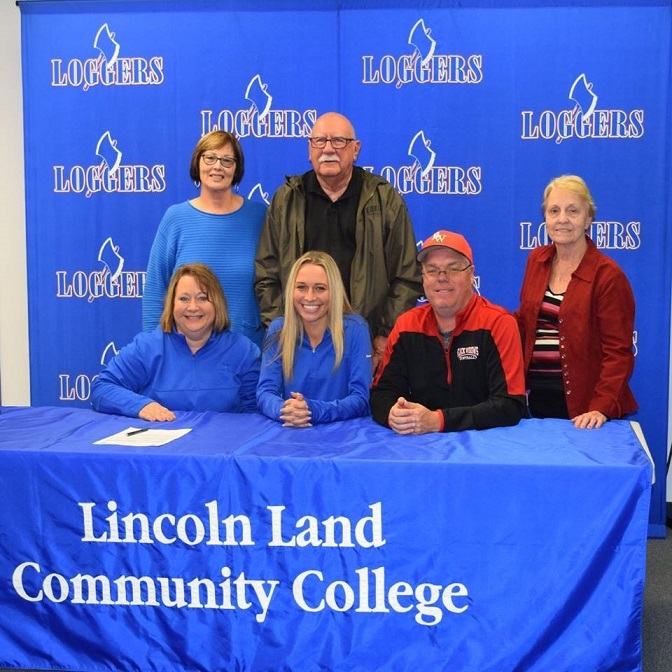 signs to play softball with Lincoln Land Community College. Kari has been with the Black Widows for 4 years. 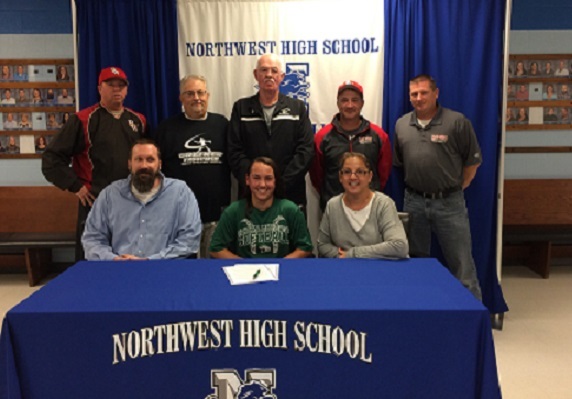 signs to play softball with Central Methodist University. 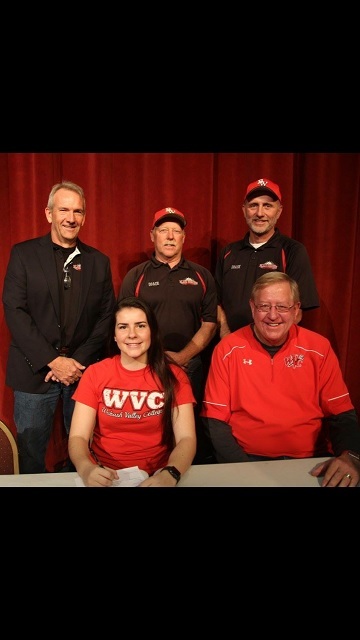 - signs to play softball with Wabash Valley College in Mt. Carmel, IL. Abigale is a left handed slap hitter, 2nd base, and outfielder. 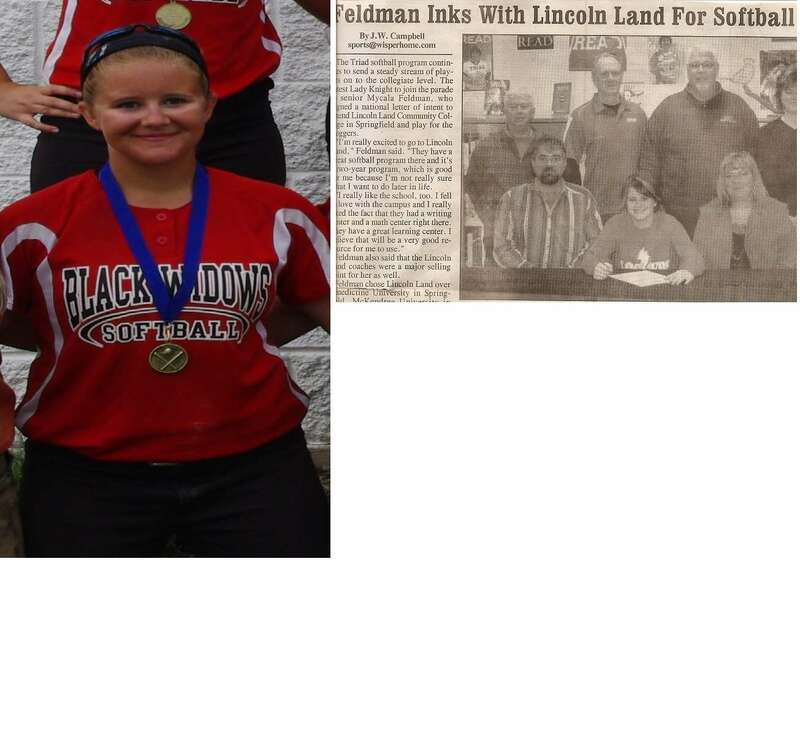 signs to play softball with the Lincoln Land Loggers. 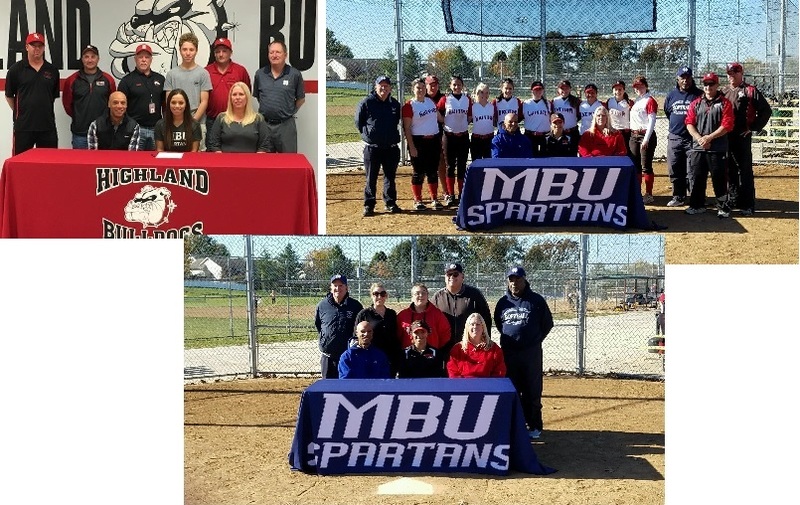 signs to play softball with Missouri Baptist. 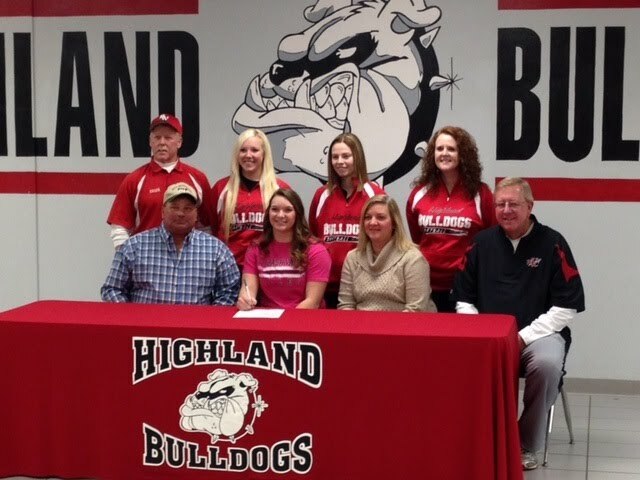 has signed to play softball at Missouri Baptist. and has been playing with the Black Widows for 9 seasons. 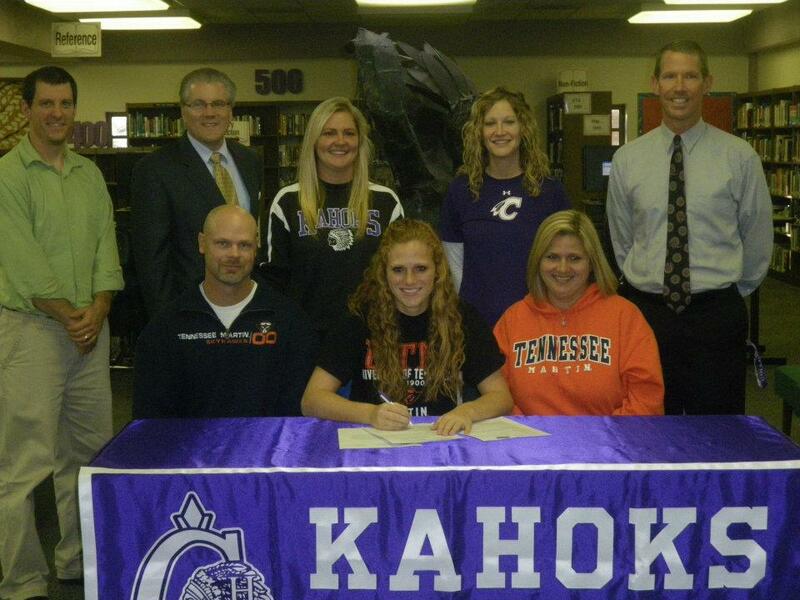 Kiri signed to play at Rockhurst University. Kiri is a catcher, outfielder and middle infielder. 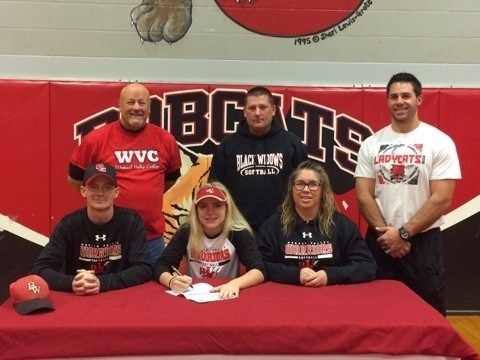 Carly signed to play at Wabash Valley. Carly is a catcher. (NCAA Division I). Aubrey is a pitcher, 1B, and outfielder. 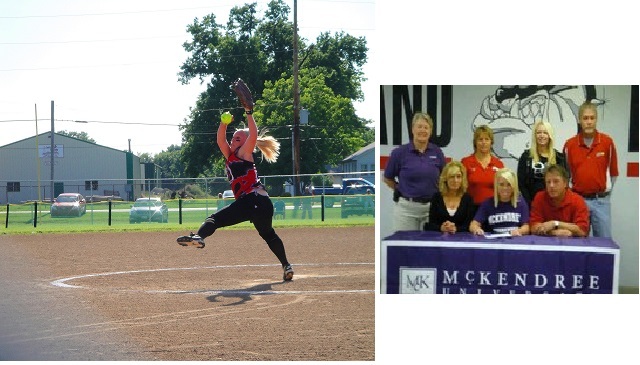 has signed to play softball at McKendree University. six seasons on the '98 Black Widow Team. Allison is a pitcher /1st Baseman. player. As a senior at CM she hit .511 with a .811 Slugging with 5 triples. 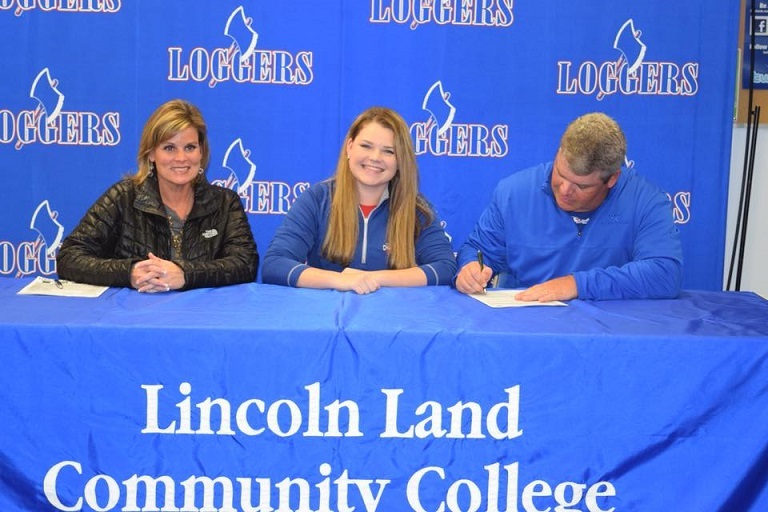 Katelyn is playing for the Lincoln Land Loggers. with the 18U Exton team. pitched in her earlier years. Later she was an all star outfielder. 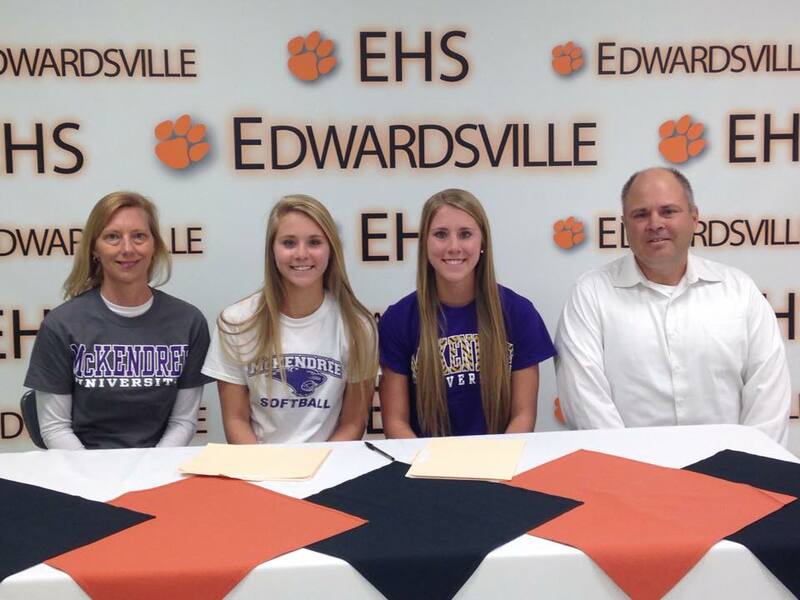 Ari Arnold, 2015 graduate of Edwardsville High School, signs with William Woods. Megan & Sara played with the Black Widows for 7 seasons! 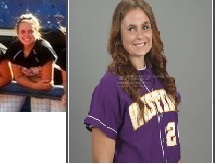 Megan as an All-Star Center Fielder & Sara an All-Star slap hitting 2nd Basemen. 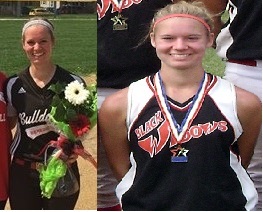 Katelyn played with the Black Widows from 2011-2013. 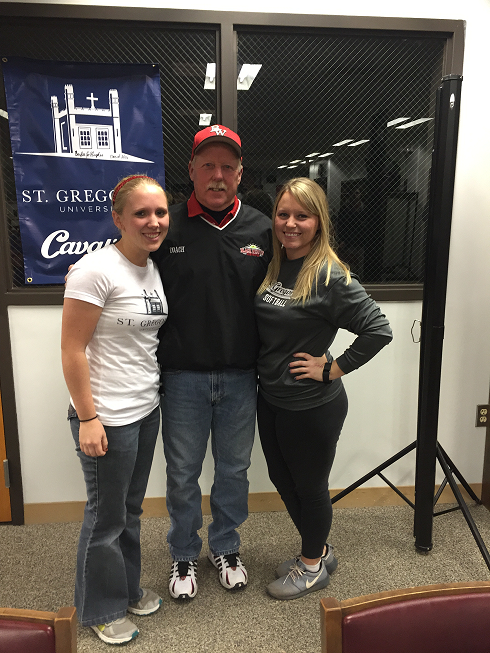 Katelyn signed as a catcher and utility infielder with the Lynx. after many successful seasons with the Black Widows. the Millikin University Big Blue as their starting catcher. Alyssa (A2) Voegele is proudly representing USA softball. She is playing in a European Softball Tour. 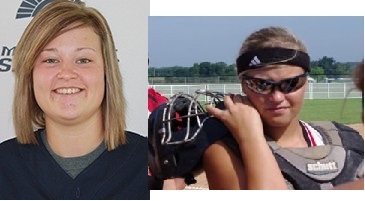 A2 played 8 seasons with the Black Widows and is now a 1st team All Conference catcher for Milliken University. 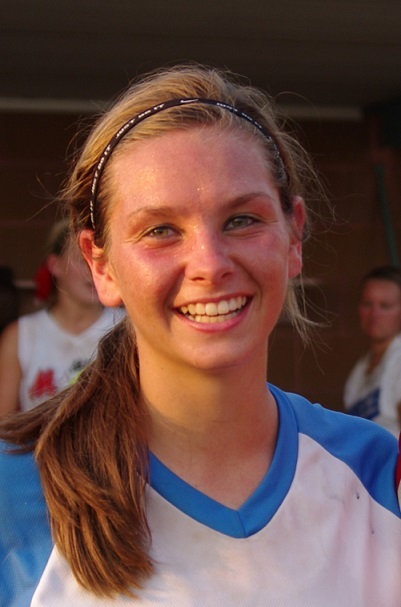 Alyssa has been selected to represent the USA on an international softball team! The team will play games in Paris, Antwerp, and Amsterdam. Good Luck Alyssa!! Game Results USA was undefeated! 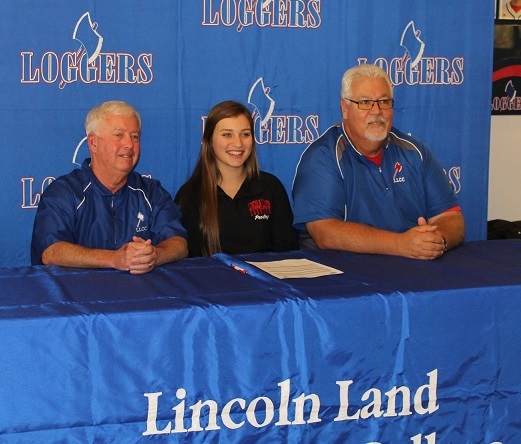 signed with Lincoln Land College. 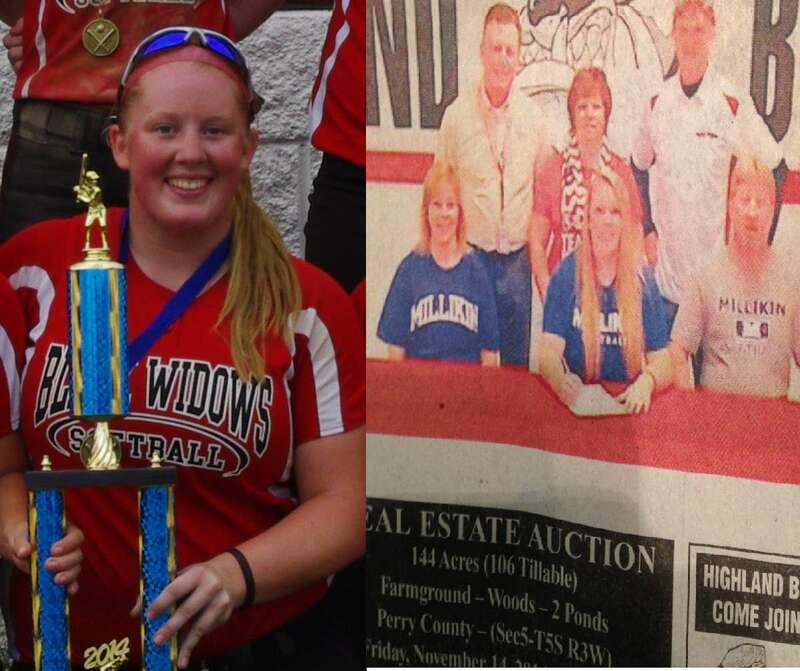 Emily was a Pitcher for the Black Widows from 2011 - 2014 !! Alex (Hooch) Hamm, played 8 seasons with the Black Widows! Patrolling Center Field, running through many a "temporary" fence! with the Black Widows. 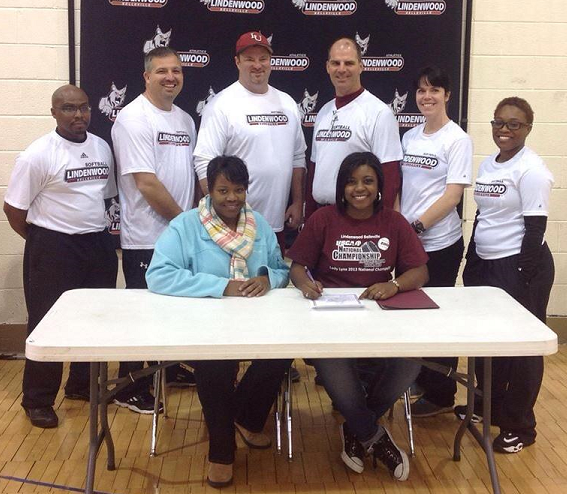 She signed with Division 1 Missouri State. softball with the Black Widows. 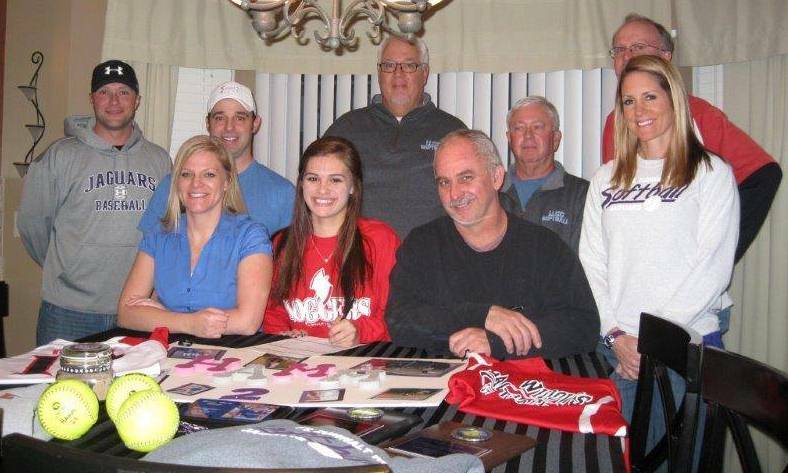 She signed with SWIC. Loggers. 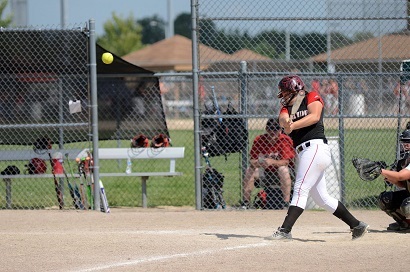 Anna received the MWAC Freshman of the year hitting .452 and stole 38 bases. 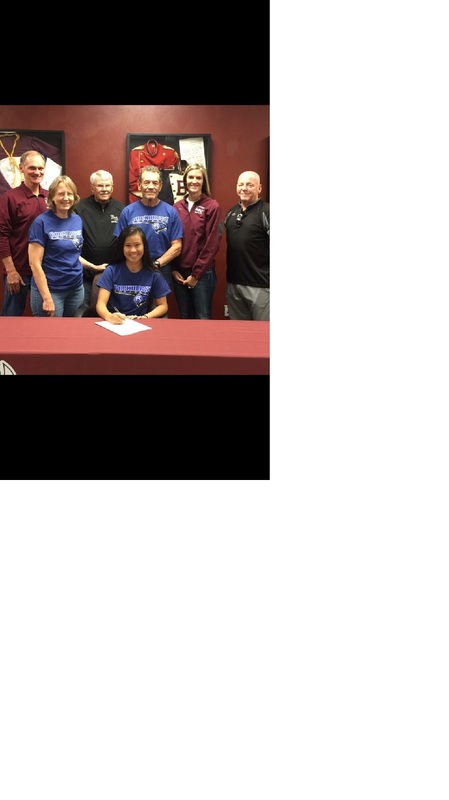 signs with Eastern Illinois University. 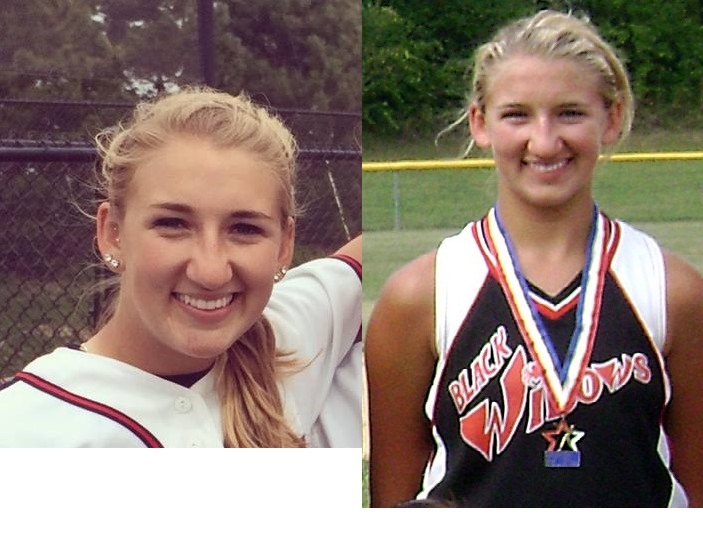 Amber played many years with BWSA, as an All-Star Pitcher / 1st Basemen! 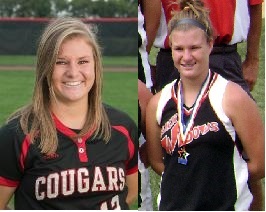 2 seasons at Lake Land College and is now an infielder at SIUE. Payton played many seasons with the Black Widows. 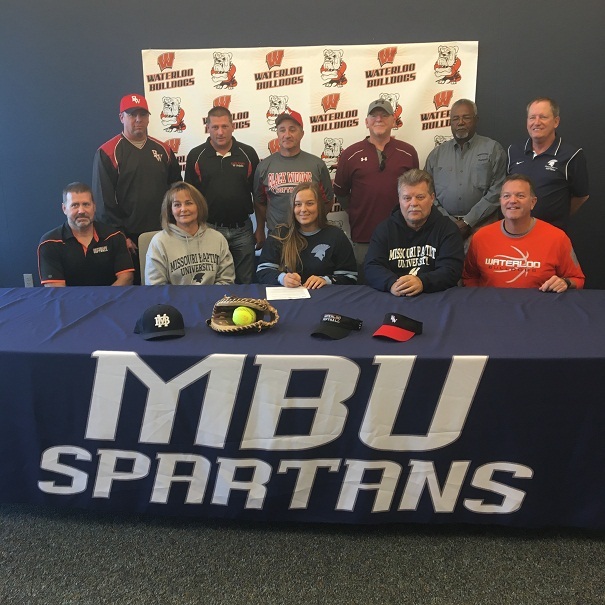 Payton signed with Missouri Baptist. Then transferred to Quincy University. 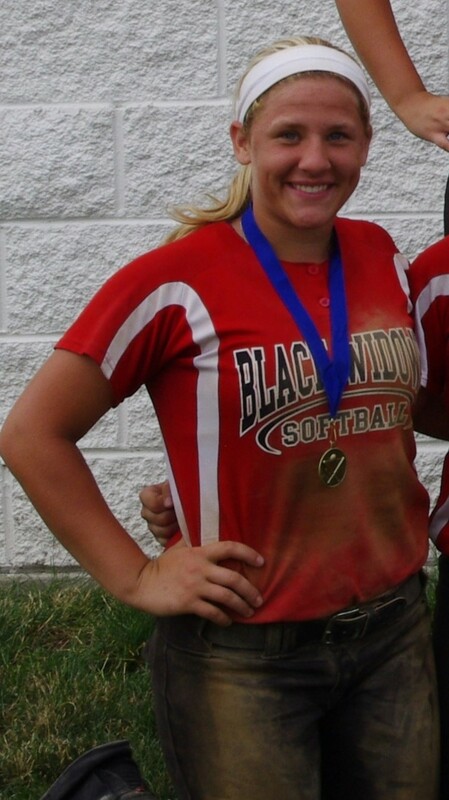 Kayla finished her select softball with the 18U Black Widows. 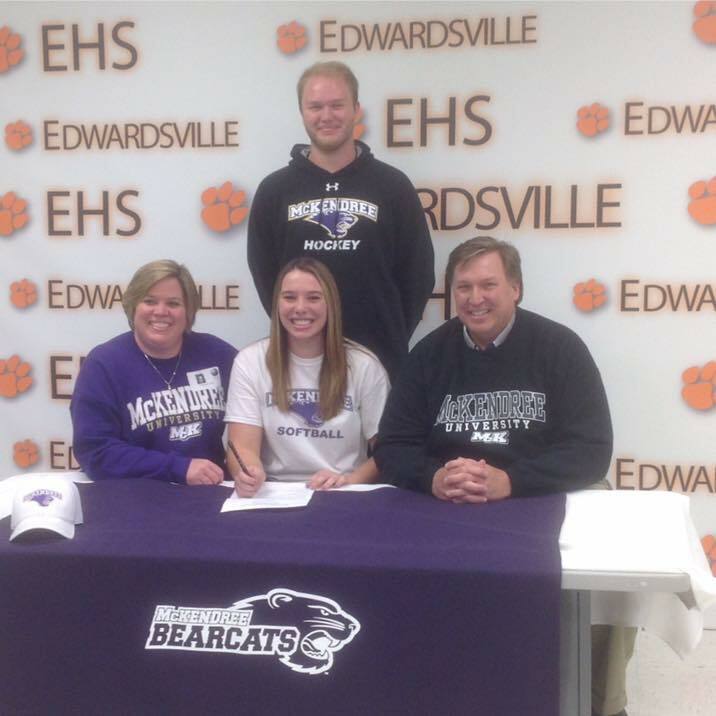 She went to Lake Land College for 2 years where she was their #1 pitcher, then she transferred to Division I Western Illinois. on a softball scholarship at Missouri S&T. 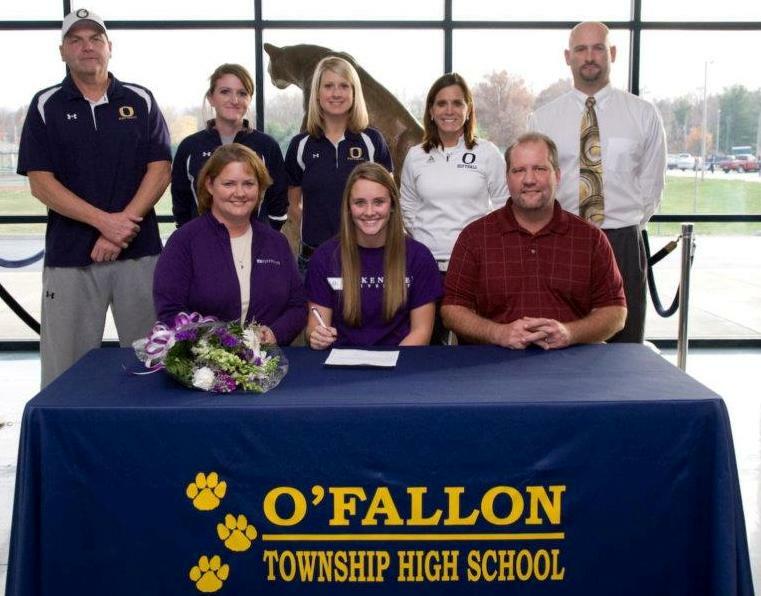 University and then transferred to Dayton University on softball scholarships. 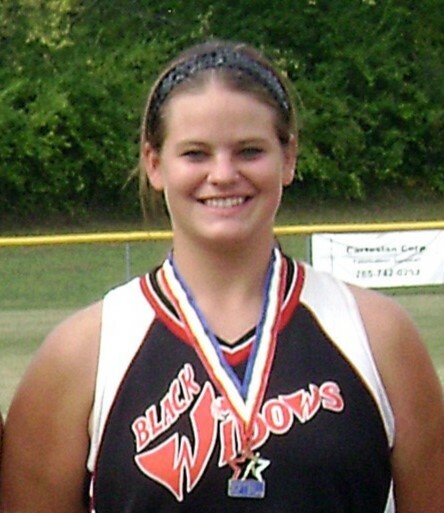 Sarah played 10 seasons with the Black Widows on many Championship teams. University as the starting 3rd baseman. 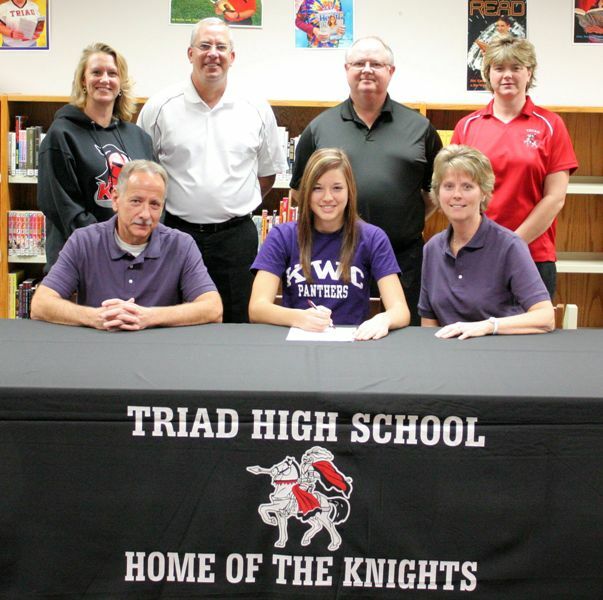 Amanda Trampe - 2011 graduate Metro Trinity Lutheran. setting seasons, she transferred to Lindsey Wilson Raiders. McKendree University. 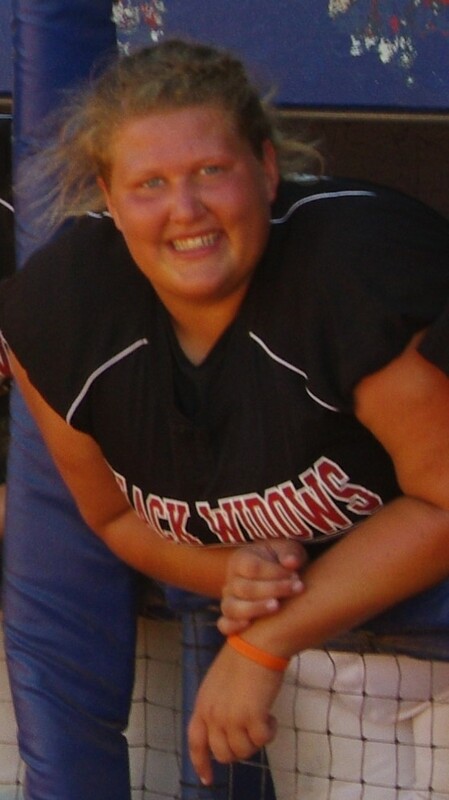 Taylor pitched many seasons with the Black Widows.